Tap into 4000 years of learning! 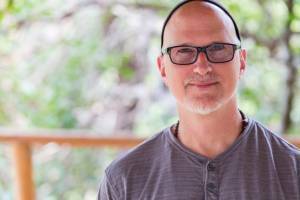 Jewish learning is not just for kids. Adult Jewish learning speaks to you in a way that Jewish learning could not when you were younger because, frankly, you were younger. Your priorities were different as was you connection to Judaism. Adult Jewish learning is a vehicle for connection: connection to the community, connection to Jewish history, texts, values, traditions. Adult Jewish learning can open a window or a door and provide knowledge, skills and appreciation of that which is relevant to you. Take advantage of all our community has to offer: new programs, new resources, new models of delivery, built for you, the adult Jewish learner. Click on the website for specific learning opportunities. Each year, Judaic Studies brings nationally and internationally-recognized leaders to Tucson to present informative public lectures that highlight the many and diverse Jewish contributions to society. It is part of our mission to promote an understanding of, interest in, and respect for Jewish history, traditions, and culture. We hope you will be able to join for some or all of events. 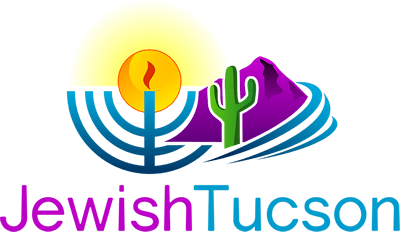 The Coalition for Jewish Education is committed to forming partnerships and to facilitating Jewish educational activities in the Tucson (Southern Arizona) Jewish Community. Community lectures and programs like the Jewish Culture Shuk, Advanced Jewish Learners and others offer learning opportunities with our community’s Rabbis, professors and top Jewish educators. 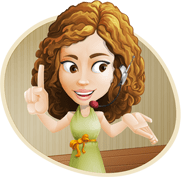 All programs are open to the entire community. Select from a wide array of events, classes and special interest groups including Current Events, Jewish Wisdom, Hebrew language, art and culture and Israeli dancing. 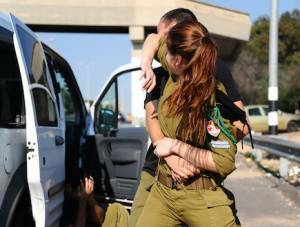 Partner to create a strategic initiative to counter assaults made on Israel's legitimacy. We educate the community by bringing Israel to Tucson. The cornerstone of Chabad of Tucson is its focus in education and study for men and women, regardless of affiliation or background. Chabad has seen education as the most effective way to enhance the prospects of the future, both for the individual and for the community. 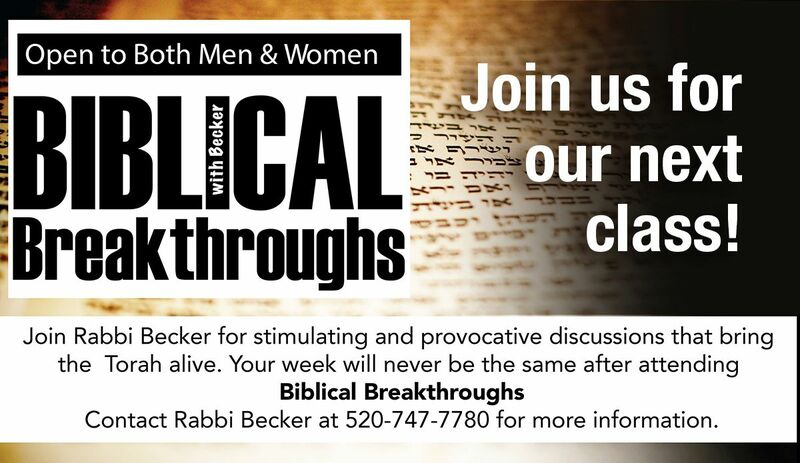 Feel free to join one or all of our weekly classes, or round the table discussions. Continuing education is a vital part of Judaism and can deepen one's understanding of Jewish history, heritage, culture and traditions. Introduction to Judaism Classes, Kollels (classes on a variety of interesting topics and Jewish history seminars are among the adult educational opportunities each year, all open to the entire community. Congregation Bet Shalom has served Tucson for over 30 years. We are a traditional, modern, warm, inclusive, and family oriented congregation. 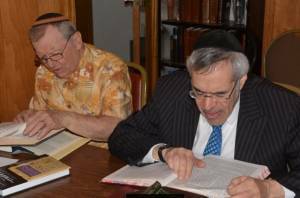 We offer exceptional adult education including Daf Yomi, Talmud, Trope Pirke Avot (Ethics of the Fathers). Congregation Chaverim members pride ourselves on being involved in our community as well as creating our own direction. 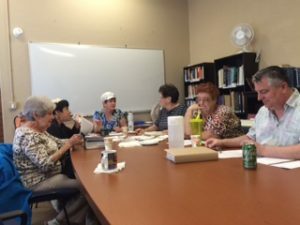 We have an adult Beit Midrash (House of Study) and a monthly book club among the offerings for adult Jewish learners. Congregation M’kor Hayim ("Source of Life") offers Torah Study followed by a discussion of the Psalms twice a month on Saturday mornings. Sessions are open to the public and free of charge. Educational programming at our Congregation offers opportunities for congregants to engage in a journey of learning and spiritual growth. Members of all ages are challenged to think, question and contribute creatively to our common journey. 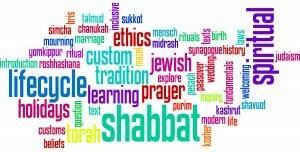 Prorams include Hebrew, Jewish History, Jewish Topics with the Rabbi, Introduction to Judaism, Jewish Movies, Book Club, Torah Study, Adult B'nei Mitzvah and Taste of Judaism. Temple Emanu-El's Adult Education Academy provides relevant, vibrant and meaningful Jewish learning experiences to meet the diverse needs of all our congregants. In addition to formal educational opportunities, there are a variety of informal educational experiences such as Torah and Talmud study. Classes are open to the entire Jewish community. The scope of class offerings is extraordinary. The class schedule includes semester long and multi-year courses, as well as occasional short-term courses.